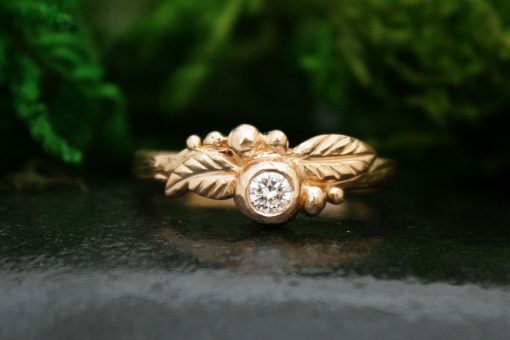 Inspired by the southern BC forest, in Canada, I hand carved these two woodland themed rings to echo the peace and tranquility felt under the canopy of these trees. A place I called home for many years. 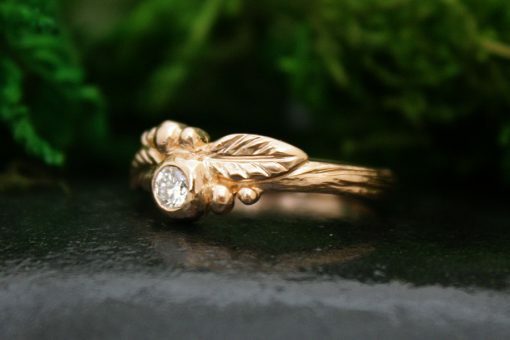 Two textured leaves frame a 3.25 mm , .14 carat diamond. 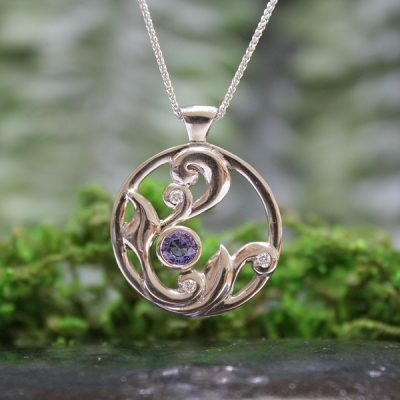 The diamond is gypsy set in a “dew drop”. 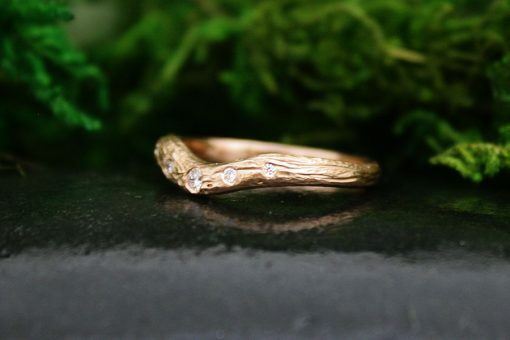 The ring shank is textured like tree bark. 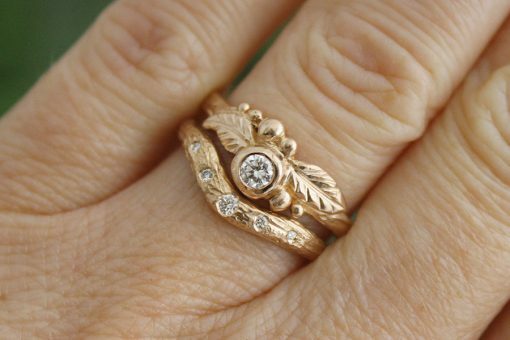 The photo is in 14k rose gold, however this set could be made in white, yellow or rose gold. 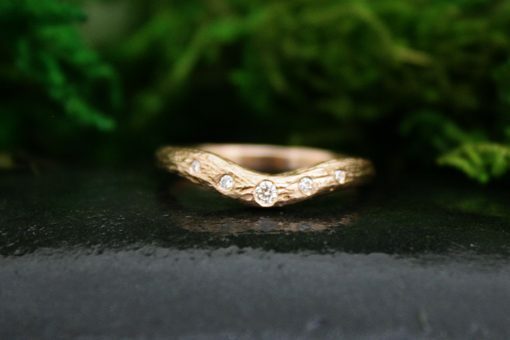 Carved with a bark texture in the shape of a V to fit around many of my solitaire diamond rings, and set with 5 gypsy set diamonds ranging from 2mm diamond and graduating down in size to 1mm. 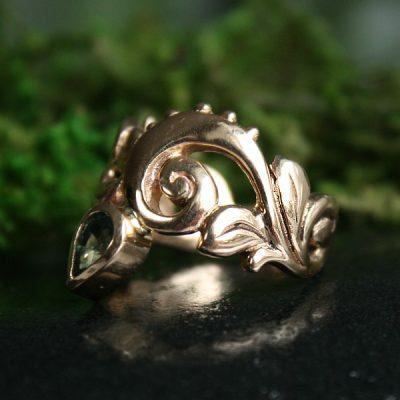 The Cradle Branch Ring is also available without diamonds. 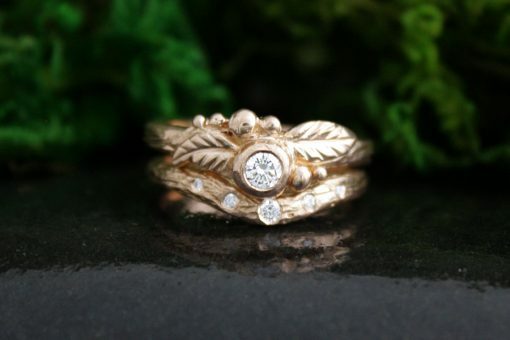 There are five gypsy set diamonds that follow the V shape.